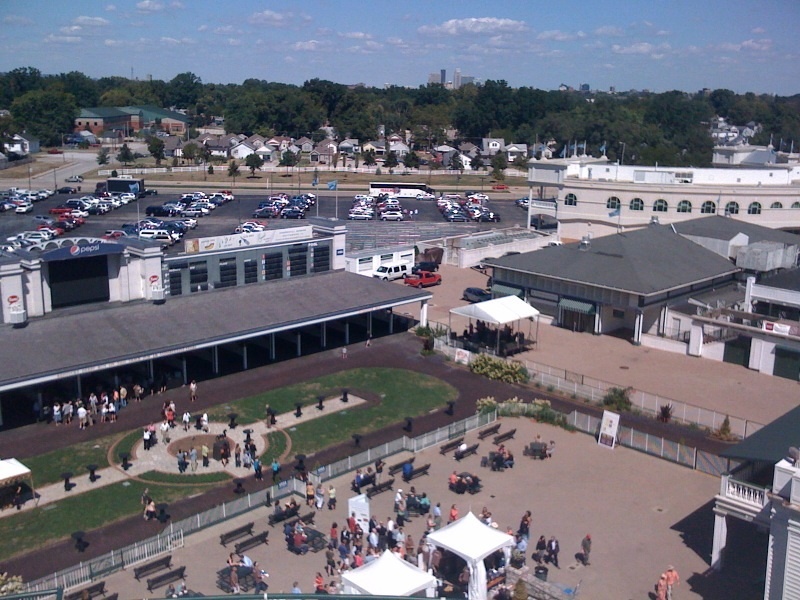 A view of the paddock from the fifth-floor balcony of Churchill Downs. May you skip the mint juleps and go for straight bourbon. May your benedictine sandwiches be especially verdant. May you wear seersucker proudly and carry a Tide pen. May you enjoy ribs, baked beans and coleslaw on a plate that doesn’t bend. May you avoid smelling like smoke when you stand near the grill. May you treat yourself to two slices of Derby pie, but only the real deal. May your 140th Kentucky Derby be decadent and depraved.